I was trying this cool page (Multicolor Search Lab) that my friend Valde forwarded to me, and made this little piece of art. The point is that you pick some basic colors from the color pallete or by giving the right RGB combination in the URL parameters and it fetches pictures from Flickr’s Interesting Pictures that are mainly made from the chosen colors. 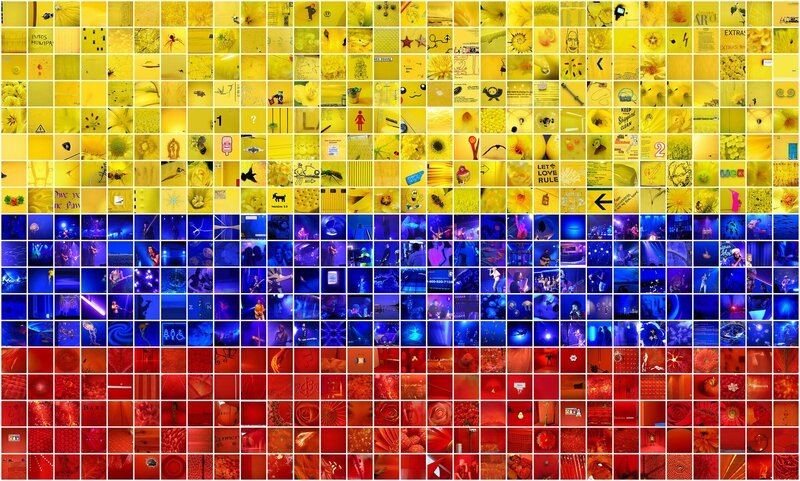 Then I put then together in the Colombian flag. No worries about permissions and intellectual property, all the pictures are under the Creative Common license. PD: Excuse the BMP format! November 19, 2008 in Other.